Last year my husband and I gutted and renovated an old Toronto home. On the - to do list were - new windows. 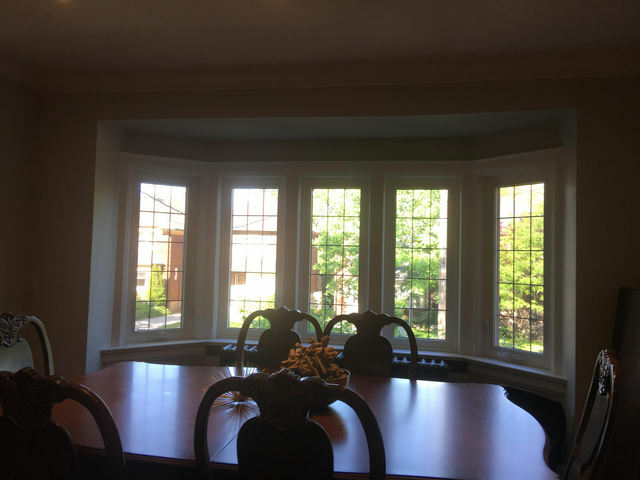 When we replaced the windows it immediately changed and updated the look of our home. Bogdan recommended the best types of windows for each opening. For the front of the house we had more traditional retro-fit windows installed (see photo below) , these turned out beautifully. The windows are of great quality and are of great value. I would use this company again and would highly recommend! This past summer my husband and I gutted and renovated an entire Toronto home; the scope included 2 levels and a basement. We did our research in trying to find a great drywall contractor and we were so pleased to find Warlley and his team. Warlley is very professional and efficient. He is genuinely a nice guy and dealing with him was very easy. His deadlines are accurate and his quality of work is high; we were told that the job would take 2 weeks and it took this amount of time, no longer. Unlike a new build, the home was a challenge as many things were retrofit and crooked, he worked around the challenges and produced a beautiful outcome. He is accommodating and personally takes the time to make sure that progress and quality are going well. After the completion of this project I have used Freitas Contracting for another job, once again, his work quality was great and he delivered on time. I would use this company again and again and highly recommend!